The year was 1996. AOL was huge, monitors were larger, and hard drives were smaller. It was a time when “CHiPs” had only been off the air for 13 years…but “CHiPs” Online had already been running for a year. Back in those days when the Internet was new to everyone and people wanted to learn as much as they could about it, they turned to books, magazines, and television. There were countless books published as a “guide to the World Wide Web”, endless magazines publishing lists of best (and worst) web sites, and even a few TV shows airing in the years before TechTV. One of these television programs was called “c|net Central” and aired on USA Network and Sci-Fi Channel (long before it was renamed “Syfy”). The show featured Richard Hart and Gina St. John as hosts keeping the audience up to date on the latest software, hardware, and other technology of the day with assistance from regulars such as John C. Dvorak and Desmond Crisis. After the success of the show, they soon spun off a couple other shows, The Web and The New Edge (hosted by a then-unknown Ryan Seacrest). These shows would air immediately following CNet Central. 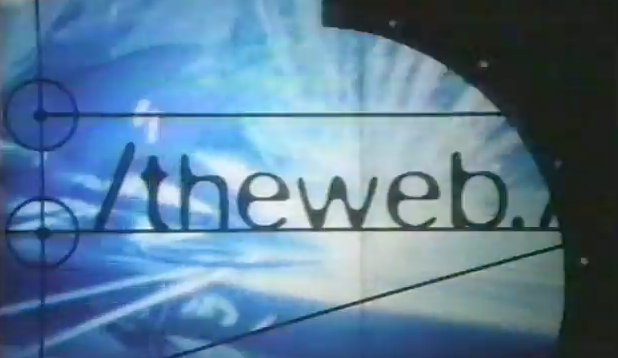 The Web, hosted by Sofie Formica, Brian Copeland, and Justin Gunn, featured one particular mid-to-late 1996 episode in which Brian’s “Hall of Shame” segment featured “Barbie Love” on Eileen’s Barbie Page, The Teddy Bear’s Picnic Ground, and “CHiPs” Online. Yes, this site was featured in a “Hall of Shame” on a television show 21 years ago…but it’s still around. Unlike The Web, which, along with CNet Central and The New Edge, apparently ceased production in 1999. We’ve unearthed part of the episode of The Web which features “CHiPs” Online. Enjoy!